Changing your password with Insane Technologies hosted exchange. 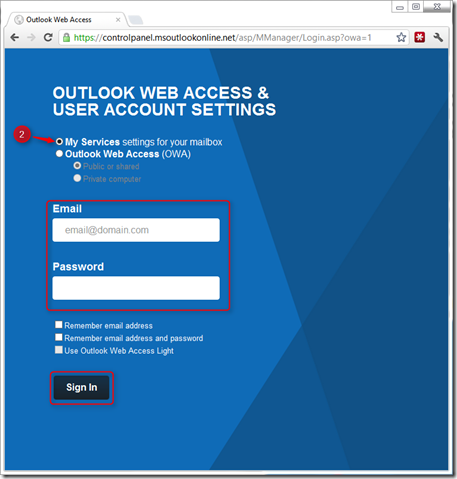 This article will help to change your password for your hosted exchange email account. 1. To access your user account settings go to https://controlpanel.msoutlookonline.net in your web browser. 4. Enter your new password and retype the new password and click Save Changes. 5. You will then be prompted to relogin. 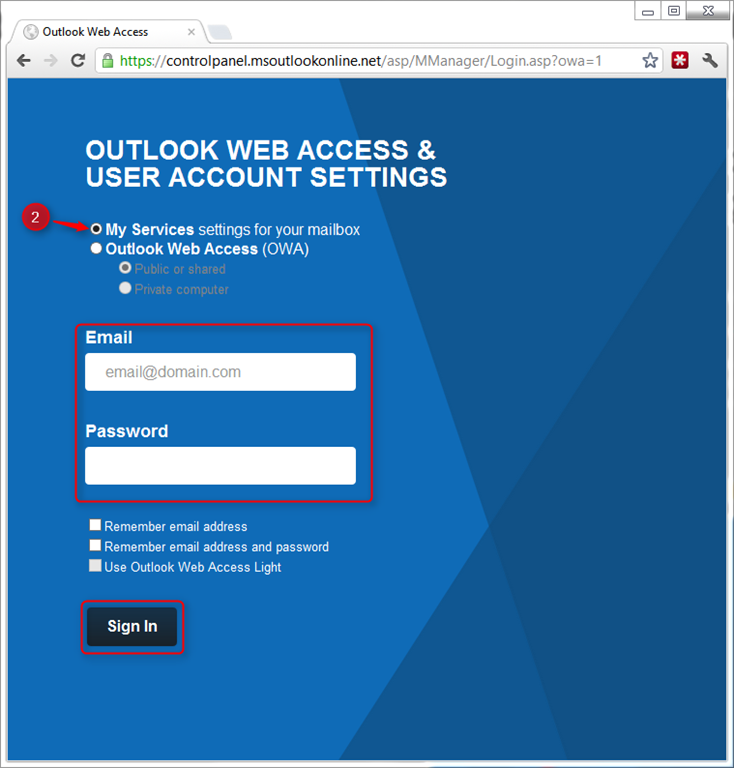 Click Relogin and you will be taken back to the login page where you can log back into you My Services, OWA or just close the page. Once you have done this you will need to change your passwords on you computers mail client, eg. Outlook, and also on any mobile devices, eg. Phones and tablets.